Welcome back to The Tasman Region! The Tasman 2016 committee extend a warm, sunny welcome to our members and sponsors to join us again in Nelson city at the brand new Rutherford Hotel conference centre. It will be 9 years since we last gathered here and we’re ready to pull out the stops and lay on another memorable event for you. Our overarching theme for this year is “Managing Diversity”. In our varying roles as Executive Officers we operate at the hub of our schools, providing leadership and juggling myriad aspects of school operations. Key words that came up in planning our theme were: conversations, culture, connecting, humour and ‘walking the talk’. We’ll focus on how we can improve our professionalism, job satisfaction and performance as leaders and ‘super heroes’! The workshops will include all the important updates and if you have any special requests for professional development, please let us know. The Elite Partners Cafe Crawl started here in Nelson at the 2007 conference and has become an SEO conference institution. Nelson restaurant/cafe culture is vibrant and the cafe crawl is a lovely way to experience the Tasman region’s finest food and wine, have a stroll between courses and network with friends and colleagues and catch up with our Elite Partners. Along with the famous Saturday morning market and other delights within walking distance of the hotel, you’re in for a treat. 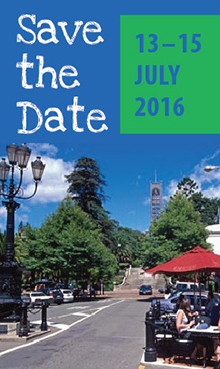 Put SEO 2016 in your diary and we look forward to welcoming you to Nelson for a great conference.